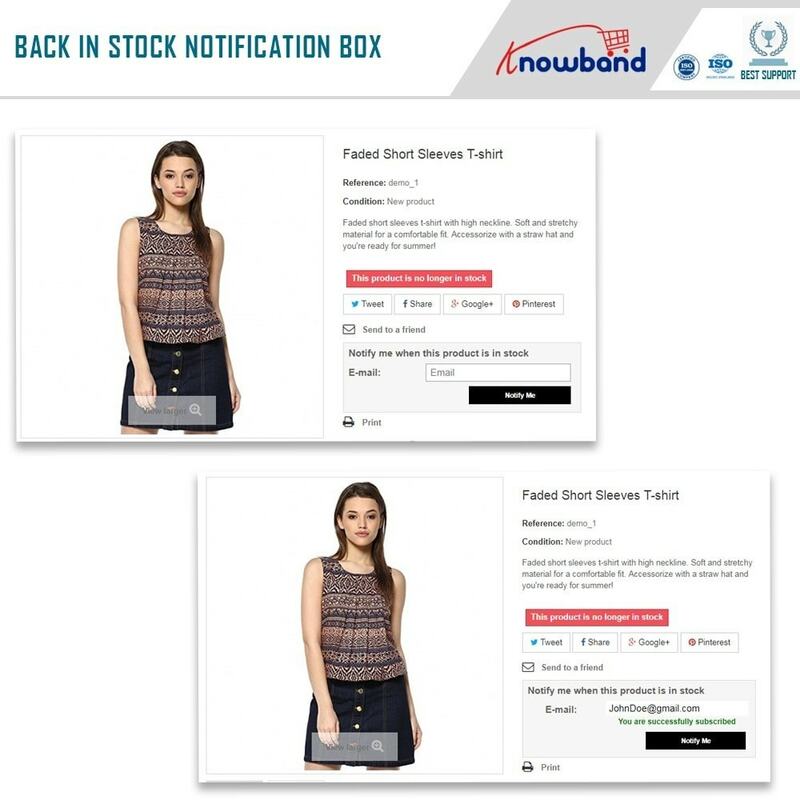 The Prestashop back in stock notification module allows the customers to subscribe to the email alert/notification and get an automatic email alert as soon as the product is back-in-stock. The Prestashop Back in Stock module is GDPR compliant. - The Prestashop back in stock module engages the customers even when desired products are not in stock. There are several situations when some of your products go out-of-stock, may be due to high product demand or scarce supply. Whatever be the reason, you don’t want to lose your potential customers just because their desired product is not in stock currently. This Prestashop stock alert module comes as a savior by allowing these customers to subscribe to the back-in-stock email alert right from the product page. In this way, you get a fair chance to convert those customers whom you would have lost otherwise. 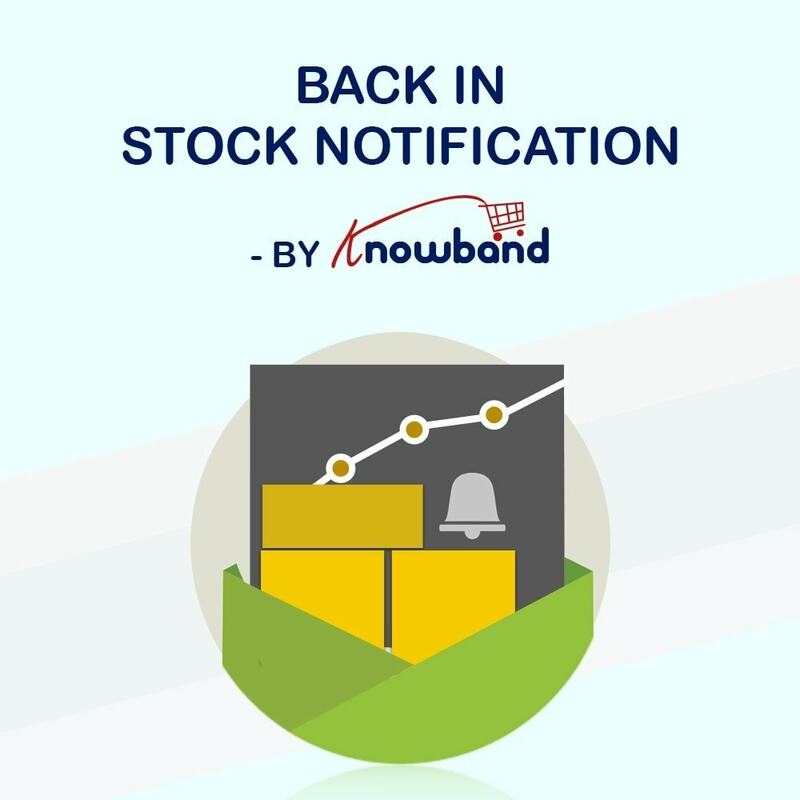 Customers can subscribe to back-in-stock email alert on out-of-stock products with the help of this Prestashop product stock notification addon. The Prestashop back in stock notification module sends an email when a customer subscribes to the stock alert. The Prestashop back in stock module automatically sends an email to the subscribed customers when the product is back in stock. The back in stock plugin has the functionality to delete the customer data on GDPR module delete request. Admin can customize the look and feel of the block from back-office of the Prestashop stock alert module itself. The Prestashop product stock notification addon allows the admin to edit email templates and assign them to corresponding languages. The respective Prestashop addon offers the admin to view the list of all subscribed customers with product and price details. The fully responsive Prestashop stock alert module works well on mobile devices too. The Prestashop back in stock notification module is seamlessly compatible with all PrestaShop themes. Extended security with SSL compatibility. The Prestashop product stock notification addon is multi-Store compatible. They will not get disappointed when a product is out-of-stock. They can subscribe to the stock alert for their desired out-of-stock products. The responsive interface will provide appealing UX even on mobile devices. Compatibility with all major browsers will add to the appealing user experience. The quick page loading is always a plus point from conversion and SEO angle. 1. You may also like our Marketplace module, which converts your store into a Marketplace which helps you to increase your customer base and revenue.